I’ve been attending trivia nights in New York for the past eight or so years, and I love it so much I even hosted trivia a few times in Brooklyn. So when I recently noticed that two of my favorite barbecue joints in NYC added trivia nights, I was ecstatic. Two of my favorite things in one place is something I can't say no to. Here's where you can go if you also are interested in excellent food and trivia. If you go to Hill Country for trivia (or just barbecue), be sure to try the tri-tip sirloin, pork ribs, sausage, and brisket. 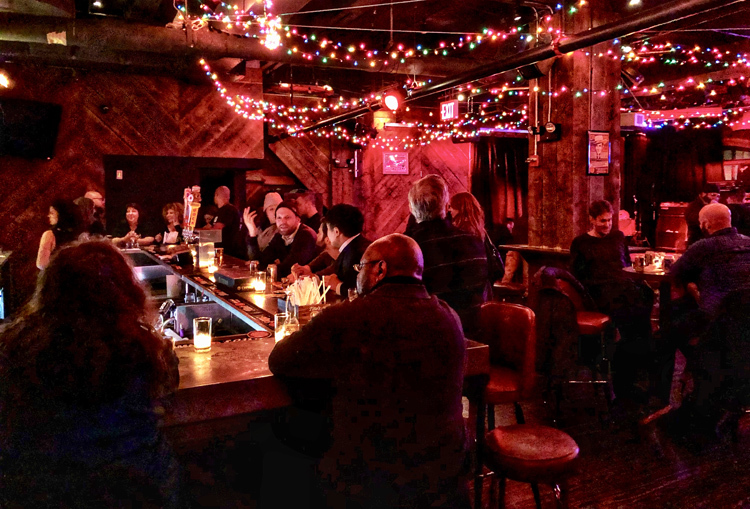 First up is Hill Country Barbecue Market in Manhattan, which hosts trivia from the fine folks at NYC Trivia League on Tuesdays starting at 6:30 p.m. Each trivia night has five rounds with different topics, 10 questions each round, and each question is worth a point. Team size maximum is six people. Mable’s Smokehouse has great brisket tacos and they’re on special every Tuesday night during trivia. ﻿Second on the list is Mable’s Smokehouse in Brooklyn, which hosts trivia every Tuesday night starting at 8 p.m. Trivia here is also from NYC Trivia League, which means five rounds of trivia with diverse topics, 10 questions per round, and each question worth one point. Team size maximum is six people. What’s also great about this trivia night is the food special: two tacos (brisket or pulled pork) and one Founder’s Solid Gold beer for $10. Know about any other local barbecue joints with trivia nights? Shoot me a note! Hank’s Saloon has re-opened in the upstairs section of Hill Country Food Park. Hank’s Saloon, a popular dive bar in Brooklyn, has just re-opened (see above) in the upstairs portion of Hill Country Food Hall. Hank’s will offer live music and will make HCFH a bigger attraction for the substantial after-work crowd in the area. Fletcher’s Brooklyn Barbecue in Gowanus has changed its hours and is now open seven days a week. Every day they’ll be open at noon and feature lunch specials on most days, including their well-liked chopped BBQ chicken sandwich with fries. 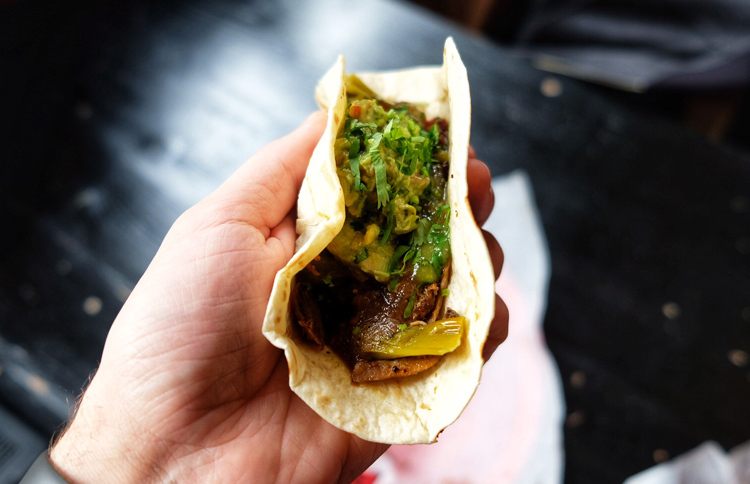 Izzy’s Taqueria, a new kosher barbecue taco joint that will be next to Izzy’s Brooklyn Smokehouse, is nearly ready to open. Owner and pitmaster Sruli “Izzy” Eidelman says the new place will be open in the next few weeks. Red Hook Tavern, a highly anticipated new burger and fried chicken joint from Hometown Bar-B-Que’s Billy Durney, has fancy new signage on the door, indicating that it will be open soon. February 22: Mable’s Smokehouse in Brooklyn will soon be hosting its third annual Dolly Parton Look-a-like Contest. This event will feature "fabulous judges, prizes for the top three winners, drink specials all night, barbecue, and the most dolled-up Dollies in town!" Buy tickets here. February 23: The 2019 NYC Beer Week Opening Bash will take place at the Brooklyn Expo Center in Greenpoint. 75+ of the best breweries in the U.S. will offer up beer, plus lots of food vendors to help you soak it up. Buy tickets here.